The ACE Technology Platform provides a comprehensive, accurate, end-to-end sequencing and analysis solution to address the most challenging research and diagnostic questions. 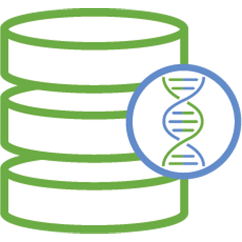 Whether you are researcher, physician, or biopharma company—you need accurate genomic data. The scientists at Personalis evaluated every step the genomics process from sample prep and sequencing through data delivery, to develop a platform that ensured high accuracy and coverage across genomic regions. We call this platform, ACE: Accuracy and Content-Enhanced. Our proprietary Accuracy and Content Enhanced (ACE) Exome™ technology extends coverage of a typical exome to biomedically important regions outside the exome including regulatory regions and disease associated regions. The result? Better accuracy and coverage. ACE technology enables more accurate sequencing of biomedically interpretable variants found in problematic regions of the genome including gene families and pseudogenes, regions of high GC content, known structural variants, repeat sequences, homopolymers, and compressions. ACE technology identifies these regions, sequences them separately under optimized conditions, and then merges the data with standard sequencing to improve accuracy. ACE technology covers biomedically important variants/regions outside the exome including non-exonic genetic variants linked to disease, non-exonic genetic variations linked to drug metabolism, regulatory sequence regions, structural variant junction sequences, and deep-intronic sites involved in splicing. Personalis ACE technology optionally supplements an exome in these biomedically critical regions by drawing on our comprehensive proprietary databases, providing the optimal results for biological discovery and medical interpretability. By focusing on sensitivity and specificity of variant detection within target regions, Personalis optimizes coverage for biomedically important portions of the genome. Both whole genome and exome sequencing are detailed laboratory procedures. The Personalis team is experienced with protocol options at each step. Since we are not obliged to use any specific platform, we combine reagents and technologies from multiple vendors. In achieving CLIA and CAP accreditation, Personalis has developed rigorous documented quality systems. These apply on many levels, from instrument calibration, personnel training and certifications, to careful QC. While accurate sequencing is necessary, it is not sufficient to deliver accurate identification of variants. Advanced tools for alignment, an accurate reference genome, sophisticated algorithms to discern different variant types, and identification of systematic biases inherent in sequencing technologies must all be integrated to deliver variant calls representative of the true nature of the sample. 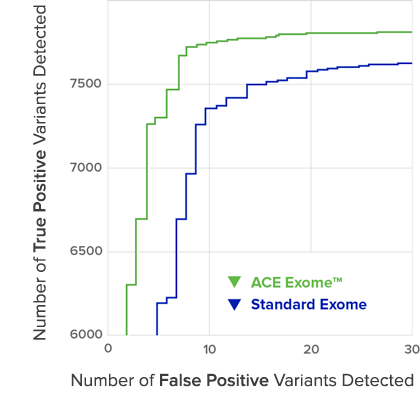 FIGURE 1: ACE Exome has higher sensitivity with roughly half the errors of standard exome. Personalis has a state-of-the-art pipeline implementing best-of-breed algorithms, tested and optimized for accuracy and performance resulting in superior alignments and variant calls. Features include improved SNV/InDel calling, improved structural variant (SV) calling, detection of variants of low complexity, an option to use Personalis enhancements to public reference (HG19), and extensive read, alignment, and variant statistics for publication and QC. Giving you, more accurate variant detection. The Personalis team has published extensively on issues of DNA sequencing accuracy (Lam et. al., 2011; Dewey et. al., 2011; Clark et. al., 2011). Leveraging our experience at Personalis and our earlier involvement in other large genomics projects (e.g., 1,000 Genomes, ENCODE, Genome Reference Consortium, etc. ), we harness both proprietary methods and established algorithms from genome centers around the world. Individuals homozygous for minor alleles present in the reference sequence are not reported as variant at these loci. In an average genome, over 50,000 such variants remain unrecognized in this way. Considering the potential functional influence of homozygous minor alleles, this is a significant oversight. Individuals homozygous for major alleles absent in the reference are reported as variant at such loci. In an average genome, about half of all homozygous SNP’s reported (700,000) are actually the major allele. Thus, the ratio of reported homozygous to heterozygous SNPs in a genome is almost double what it would be if the reference was more representative. Variant calls can be ethnically biased. To address these issues, Personalis has developed a set of enhanced human reference sequences in which the major allele has been substituted at every position. Distinct versions have been created for three major ethnicities, and we have also created a version specifically for use with admixed genomes. For most new projects, we recommend variant calling using these enhanced human reference sequences. Additional Platform Features We have quantitatively assessed our pipeline’s performance using “golden” genomes, developed in-house using multiple NGS and genotyping technologies. Scalable Architecture ACE Platform framework is based on a MapReduce approach and runs in a highly parallel computational environment, making it efficient and scalable. This permits rapid turnaround and a focus on quality and accuracy of results. Building on accurate variant calls, we integrate numerous public and proprietary databases to provide detailed and current annotations for variants across the genome in a highly structured, consistent and thorough manner. 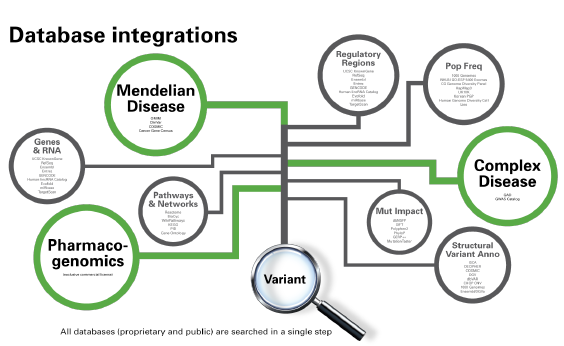 Personalis has comprehensive, high-quality, high depth, manually curated proprietary databases that enable annotation and analysis of complex and Mendelian disease, and drug response. This content covers regions both within and outside the exome. The quality and comprehensiveness in these databases results in more accurate analysis and interpretation, saving time and cost for the researcher and yielding better results for the clinician. Together these databases serve as powerful inputs for our analytics to make sense of genomic data. 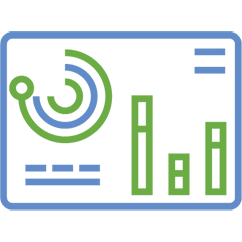 Personalis Disease Variant Database The Personalis Disease Variant Database is the most comprehensive, detailed, high-quality manually-curated variant to common disease, Mendelian disease, and phenotype database of its kind containing over 600,000 variant-to-disease relationships. This database enables highly reliable biomedical interpretation of not only exonic variants, but also those located in intronic and intergenic regions. Furthermore, the database is ethnicity specific when that information is available. 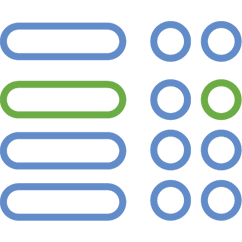 Personalis Pharmacogenomics Database The Personalis Pharmacogenomic Database is built on PharmGKB®, the world’s leading pharmacogenomics database which has been exclusively licensed by Personalis. PharmGKB content includes information linking genetic variants to drug toxicity, dosing, and efficacy. PharmGKB content has been manually-curated and extensively peer-reviewed over a 12-year period. Personalis has used this information to refine its sequencing and interpretation technologies to measure these genetic variations accurately. Personalis Regulatory Regions Database The Personalis Regulatory Regions Database contains several hundred thousand putative transcription factor binding sites/regulatory regions. These regulatory annotations enable us to interpret intergenic and other non-coding variants that may have a significant impact on gene expression and function. For clinical reporting, Personalis utilizes a highly structured approach to analysis and interpretation, delivering results in a concise, intuitive and actionable report. For research studies, we offer a wider range of analysis options, appropriate to your study design. All our analyses benefit from the robust upstream sequencing, analysis, and variant annotation technologies that constitute the ACE Platform. 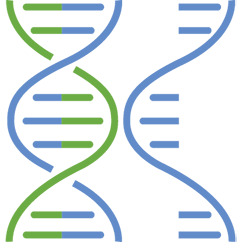 In addition to its clinical services, Personalis provides researchers with analysis options for case-control and family-based genome studies, including methods for collapsing and calculating statistically significant enrichment for variants, genes, diseases and pathways that draw on Personalis’ proprietary content and public database content. Analyses are performed under a variety of inheritance models and filtering criteria depending on the study design. The end result is a short list of highly qualified variants. For many studies, Personalis can provide matched control genomes to complement cases from a customer. Personalis also offers the option to have results reviewed and summarized in report format by Personalis Ph.D. scientists and genetic counselors.